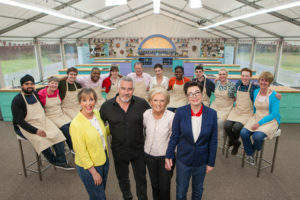 The Great British Baking Show, Season 4, comes to CPTV Saturdays starting June 24, 2017. However, all 10 episodes of the new season will be available to stream early – starting Friday, June 16 at 9 p.m. – for members who have activated CPTV Passport. These members will be able to “binge watch” the whole season! CPTV Passport is an added benefit for valued donors of public television. It allows members to enjoy past episodes of many PBS and CPTV shows on-demand using their computer, smartphone, or tablet. For more on CPTV Passport and becoming a member, click here, or contact CPTV’s Audience Care department at 860-275-7550 or audiencecare@cptv.org. If you are a CPTV Passport member already, click here to go directly to Passport. For more information on The Great British Baking Show‘s new season, click here.